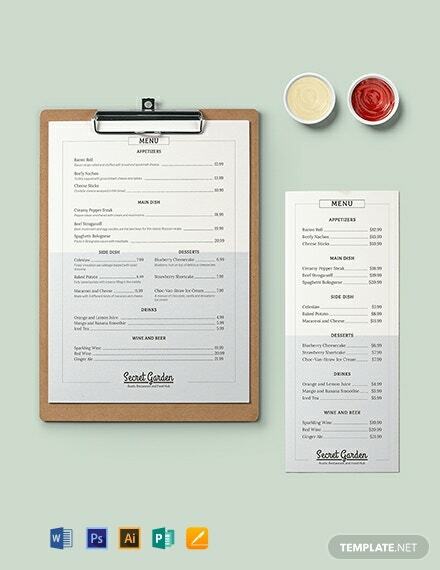 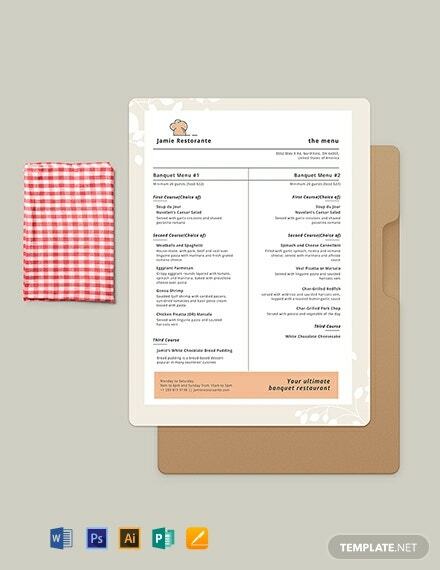 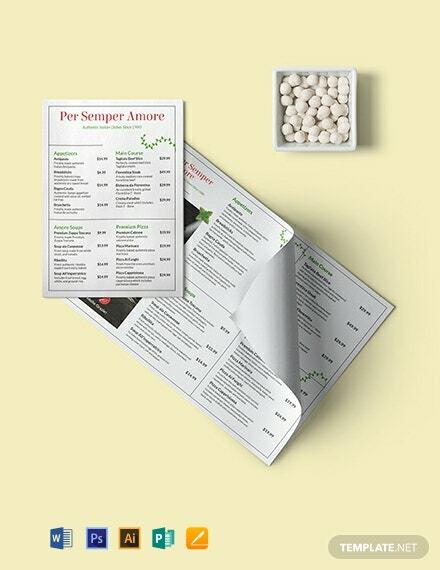 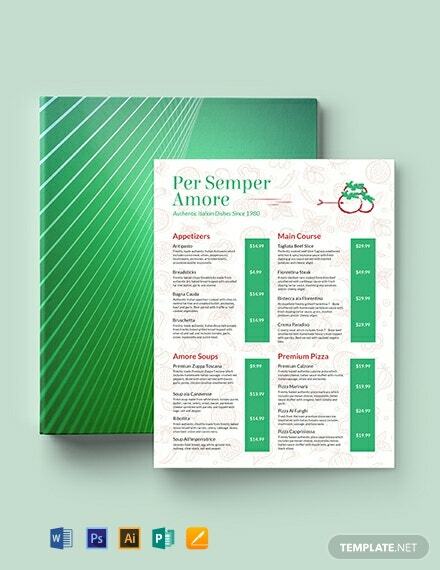 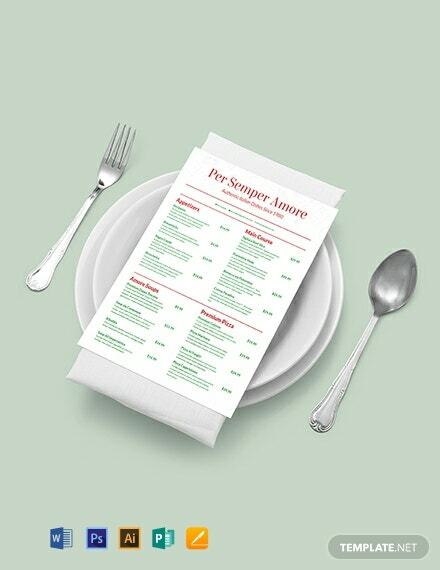 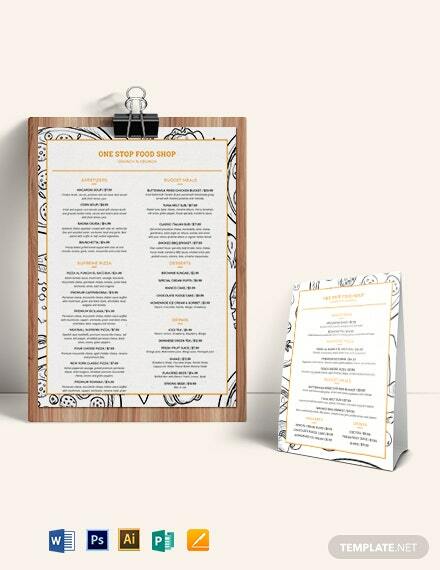 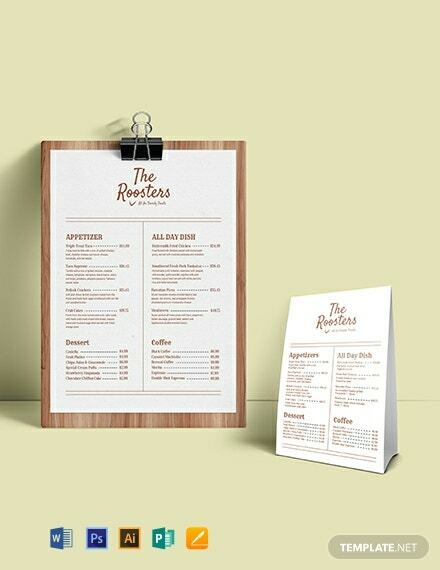 A creative menu template that is perfect for your Italian restaurant or food establishment. 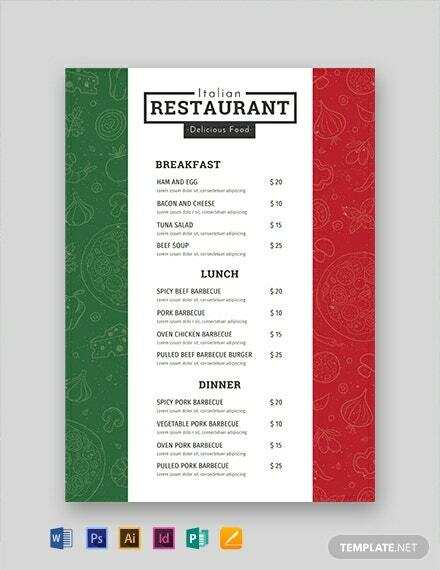 Showcase your traditional Italian dishes written in eye-catching fonts. 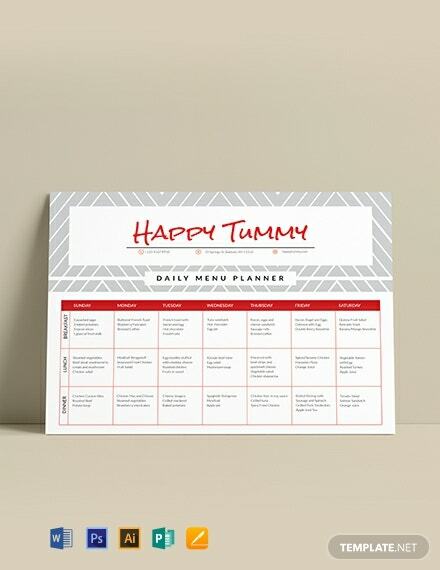 Available in multiple formats, instant download and absolutely free.